cardigan junkie: Things Every Girl Needs: A Weekend Getaway with the Girlfriends! Things Every Girl Needs: A Weekend Getaway with the Girlfriends! Things Every Girl Needs is back! 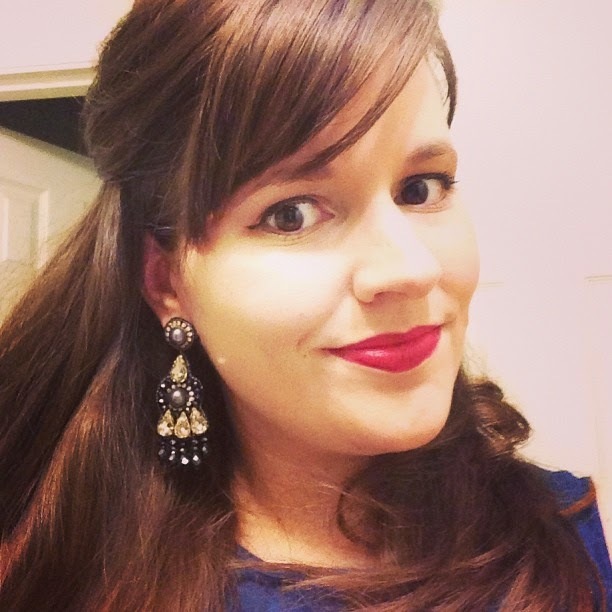 Today's guest blogger is the fabulous Emily Kate, the Washington DC area stylist behind Capital Style. Emily has a great blog, and great taste (as you'll see below), so I'm super excited that she's filling in for me today. Check out her blog - you're going to like it as much as I do! Hi Cardigan Junkie readers! Emily Kate from “Capital Style” here and I’m thrilled that Haley is giving me the opportunity to share my cents on “Things Every Girl Needs” with you today. Memorial Day weekend is here. If you are anything like me, before you know it, it will be Labor Day and you’ll be looking back saying “where did the summer go?” Sometimes we get so busy with work, significant others, kids, LIFE, we don’t stop to enjoy it. So, whether it’s to the beach, a hotel pool and spa, or lounging by the pool in the back yard, I think every girl needs a summer weekend get-away with her girlfriends as well as a few ideas of what to take on said get away. No. 1: A great summer bag. No. 4: A good book. I loved “The Help.” It was one of those books that I wished would go on and on. You still have time to read it before the movie comes out in August. If you’re looking for a laugh, “Lies that Chelsea Handler Told Me” (or really any of the Chelsea Handler books) will oblige. This one is authored by Chelsea’s friends and family - aka the “victims” of her tall tales. So far it’s made me laugh out loud on the bus, in line at the post office, and waiting in the doctor’s office. And, a classic. I loved it when I had to read it in high school and just as much when I read it again years later. Orphans, ghosts, a crazy lady, mysterious fires, love – “Jane Eyre” has it all. No. 5: A Water Bobble – No, that’s not a typo. 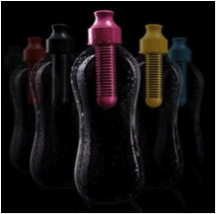 It’s an incredibly handy eco-friendly bottle that gives you filtered water anywhere you can get tap. Toss it in your bag and fill it up after you get through security at the airport so you don’t have to buy it. No need to go to the vending machine or spend $5.00/bottle in the mini-bar at your hotel, office, wherever either. Save money and do some good for the environment! Mix pour over ice or put it all in a blender for frozen ritas. Half a liter of 7-Up/ Sprite (can always use Sprite Zero for fewer calories). Cut up fruit and put in a pitcher with brandy and wine and refrigerate for at least an hour. Add the soda stir and serve. No. 7: Links to bathing suit trends for Summer 2011 from some of my favorite websites/magazines. And don’t forget a camera to record some great memories; the common sense to know what should not be captured on film and the wherewithal to know the difference. Thanks so muh for the amazing post, Emily! I will be hanging with my parents and in-laws this weekend, but a girly weekend is definitely in the cards for this summer. What are your plans? P.S. If you want to participate in this series, shoot me an email and let me know! She's right and this is something that I've never done! Great list of necessities! Love this! Such great ideas. Looking forward to shopping this weekend and maybe getting some of these! :-) Thanks so much! this makes me want to go out and buy short shorts...back to the gym with that advice so I can pull them off! I also share your contempt for bathing suits--sadly I have to find one tomorrow for festivities this weekend. The one I bought five years ago when J and I started dating is just not working anymore! Completely agree! Can't get through the summer without a good maxi dress and tote. Thanks for your sweet comment on my blog by the way - I'm definitely back so hope you'll still come by!